The Amsterdam Andalusian Orchestra performed for the first time in 2011, at De Engelenbak in Amsterdam - a group of young Amsterdam musicians playing alongside Arab-Andalusian musicians from Morocco. This was the beginning of an unforgettable journey with leading international artists, through theaters and concert halls in the Netherlands and Morocco. 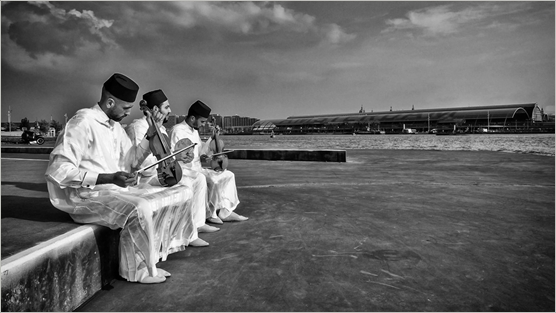 The Amsterdam Andalusian Orchestra plays three different Arab-Andalusian repertoires: tarab, chaabi andalusi, and sufi andalusi. Tarab, or classical, is the rich style of Al Andalus. Chaabi andalusi focuses on musical crossover and folk music that has been influenced by the Arab-Andalusian tradition. Grand masters such as Abdesadaq Chekara (1933-1998) laid the foundations of the chaabi andalusi. Sufi andalusi is the mystical, spiritual sound of Arab-Andalusian music. It conveys the musical and vocal improvisations handed down from master to student in zawiyas. In addition to these three repertoires, the Amsterdam Andalusisch Orkest is dedicated to broadening musical understanding, and brings other Andalusian-oriented genres to the stage, such as malhun and flamenco.